Back in 2003, three young and crazy about computer games students attended the University of Technology in Helsinki. Their names were Kim Dikert, Niked Hed, and Jarno Vakevainen and one day their passion about games made them found a company under the name Relude. Well, it was not only passion… Actually, the young team had recently won the first place in a competition sponsored by Hewlett Packard and Nokia with their multiplayer game called ‘The King of the Cabbage World’. The main business activity of the venture was – mobile game development. Two years later, in 2005, their company arranged its first financial injection from business angels and its name was changed to Rovio Mobile Ltd. The popular online game Angry Birds – screenshot. 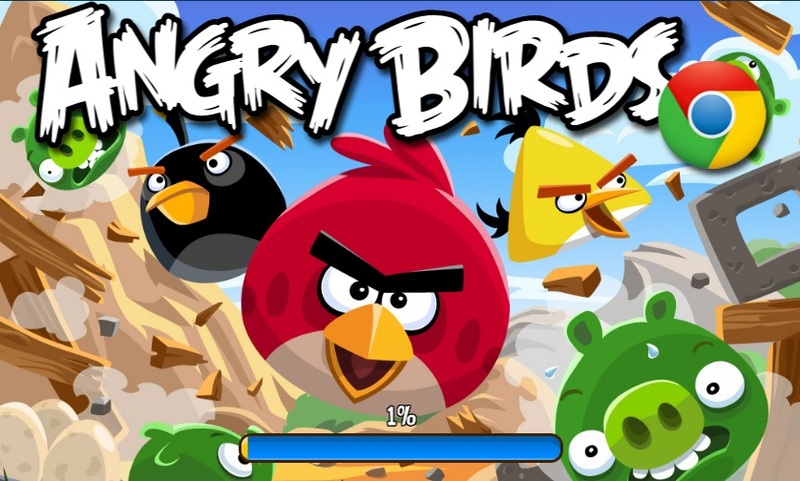 In 2009, “Angry Birds” was just the next game under development in Rovio Mobile. Nobody could have predicted the huge success that the game was about to bring. That time, Rovio was mainly working as a subcontractor for big names in the sector like Electronic Arts, but the management wanted their own big project. So, the external tasks were reduced and the young team consisting already of 25 people started searching for the big idea that would make them independent. After some brainstorming sessions and many ideas discussed, a sketch of a bird with a bad face was the thing that caught the attention of the group the most. Everybody was simply charmed by the wingless bird, so they decided to make a gameplay for it. This is how the start of Angry Birds was put. Nearly 50% of the working power was allocated for the project. After several months of hard work, the first version of the game was released on the App Store – in December 2009. And the chain reaction had begun. Just after a few days, the game became number one in Finland. Two months after, Angry Birds conquered the UK and at the end of February 2010, it reached the first place in the US. People just became crazy about the game and the downloads were exponentially growing. Initially, the game was developed only for iPhone, but soon it became available for Android OS and some other platforms. This caused another explosion in popularity. The game has had a limited free version and a fully functional paid one. To get the full game you need to pay a small fee of $0.99. This might seem cheap, but if you think about millions of downloads the picture changes. Also, this amount of money is probably something you won’t think much about and you will spend it with pleasure, having in mind that you get a full and legal version of one of the most wanted games. This is how so many players just bought it. Angry Birds Seasons – this is the second version of the game, released in October 2010. It has many new levels and gameplay. Angry Birds Rio – after the huge success of the first two editions, this was very much expected. It was released in March 2011 and has many new levels with higher difficulty, better graphics, and gameplay. The game was marketed with the popular film RIO. Angry Birds Space – this time the action is in space. The developers have done a wonderful job again, creating many new levels and some different rules. This time the player should be careful because the gravitation of the planets influences the trajectory of the birds. This version was launched on the 22nd of March, 2011. 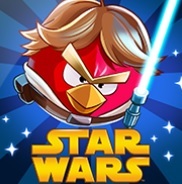 Angry Birds Star Wars – this is the latest version of the game, launched a few months ago – on the 8th of October, 2012. Here the birds are brave Jedis and the piggies are the Empire. The version is in partnership with the trilogy of George Lucas – Star Wars. Many of the birds have new powers never seen before. On the 25th of December, 2013 the Angry Birds Game was downloaded around 8 million times. Many think that this was because lots of people received a smartphone as a Christmas gift. Since the release of the game, the downloads have reached 500 million. Got interested in the game? Here you can play it for free online: chrome.angrybirds.com. You can also visit its official site here: www.angrybirds.com, where you can also download the game for your mobile device or PC. Have fun and please, share this post if you like it!